Hollywood is basking in the glory of superhero movies and the saga seems never ending. From Marvel Superheros to DC Comics the list is unending. It is high time Bollywood also starts investing time and money in bringing to life our favourite Raj Comics characters. Let’s see who would star as our favorite Raj Comics Superheros if the movies really become a reality. Who better than the latest heartthrob of Bollywood our very own new Action hero Tiger Shroff. 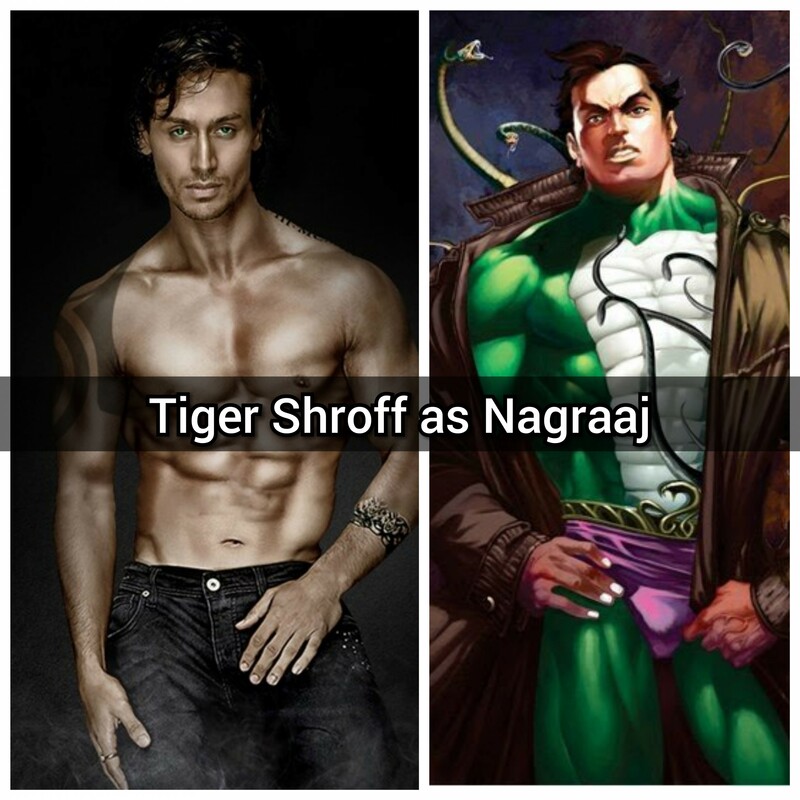 He not only has a face cut similar to Nagraj but also a physique that matches to that of the Raj Comics icchadhari Superstar. With due course of time, Nagraj’s comics had developed a snake mythology of its own, which is unique to the popular Indian beliefs about snakes that are prevalent among the masses. We would love to see a series of movies made on Nagraj. 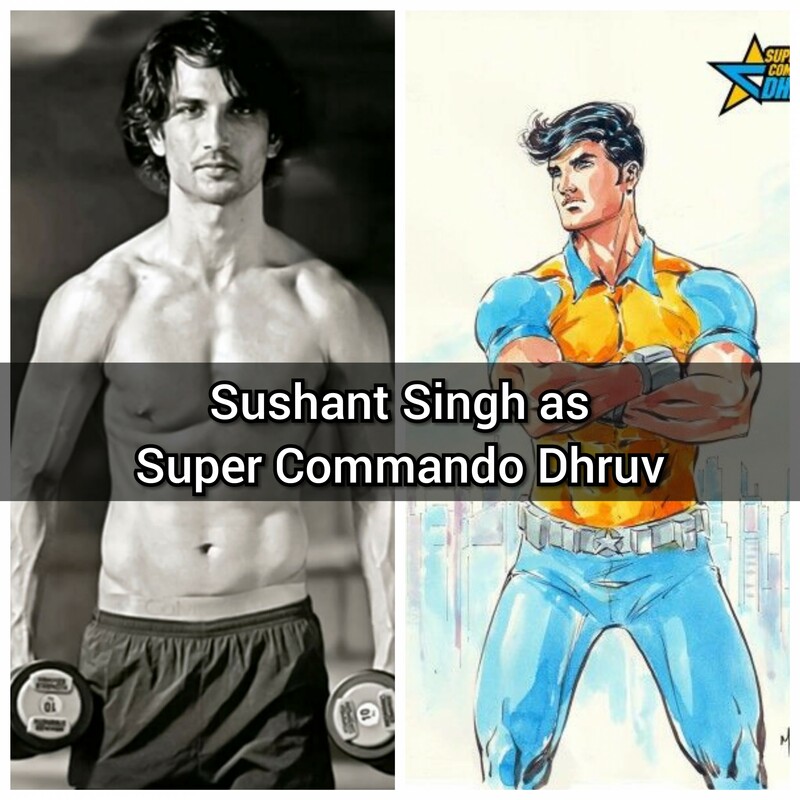 Sushant Singh is a passionate biker and his toned body complements that of our Raj Comics Commando – Super Commando Dhruv. 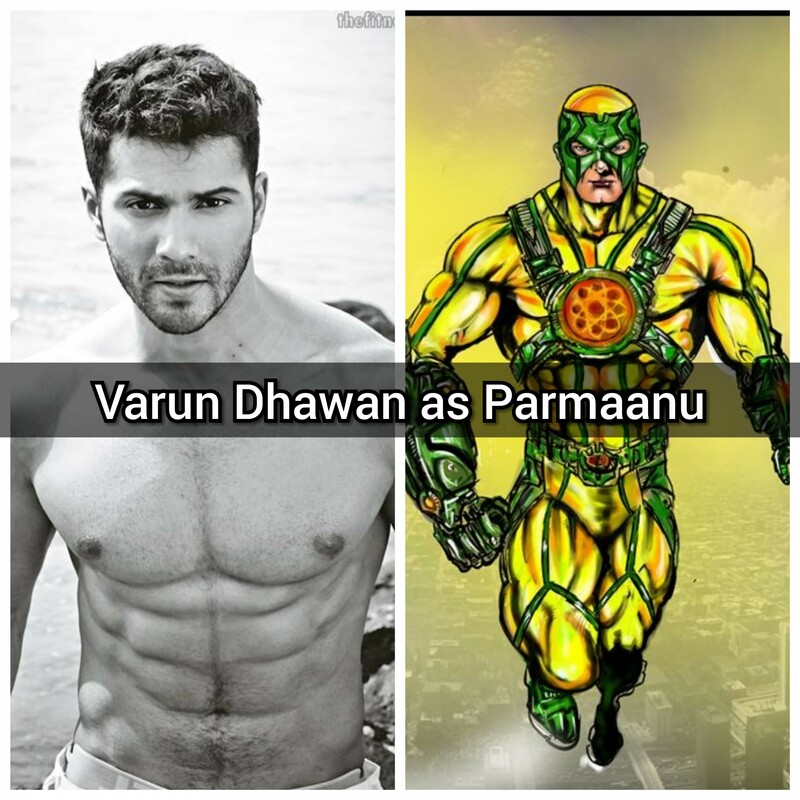 To be honest we were confused between Sushant Singh Rajput and Varun Dhawan but our votes went to SSR. Reason being that the most unusual thing about Dhruva is that, unlike most other superheroes, he doesn’t have an alter ego and doesn’t hide his identity behind a mask. Sushant is a superhero in real life and we wanted him as a superhero without mask in reel life as well. Another unique thing about Dhruv is that he doesn’t possess any superpowers; but he makes up for that with his intellect, detective skills, ability to talk to almost every kind of animals, scientific knowledge, martial art and acrobatic skills, an unparalleled willpower and a determination to eliminate evil from this world. SSR is our choice, what’s yours ? 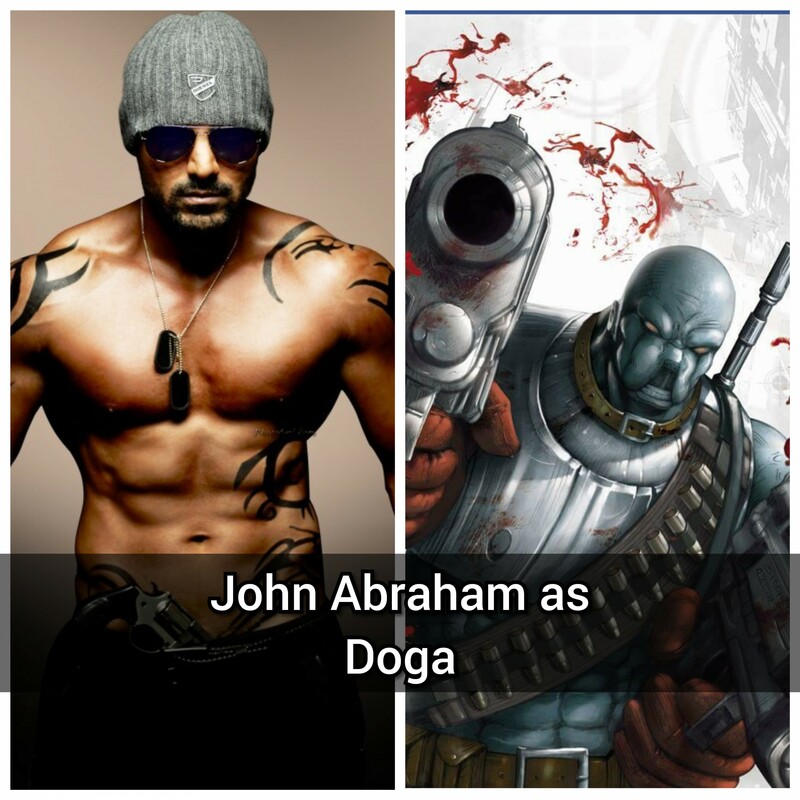 NO second thoughts on the fact that John Abraham makes the cut above rest for the role of Doga. He has set an amazing benchmark with Force and Force2. His overall personality complements that of DOGA and the style in which DOGA operated. Although we would not like to see John fighting with a mask on but couldn’t think of a better match for the Raj comics masked hero DOGA. The star in the role of Captain Tiranga had to be someone sincere and of a senior position in the Bollywood industry. Hrithik make the cut above all with the discipline he has shown over the years. 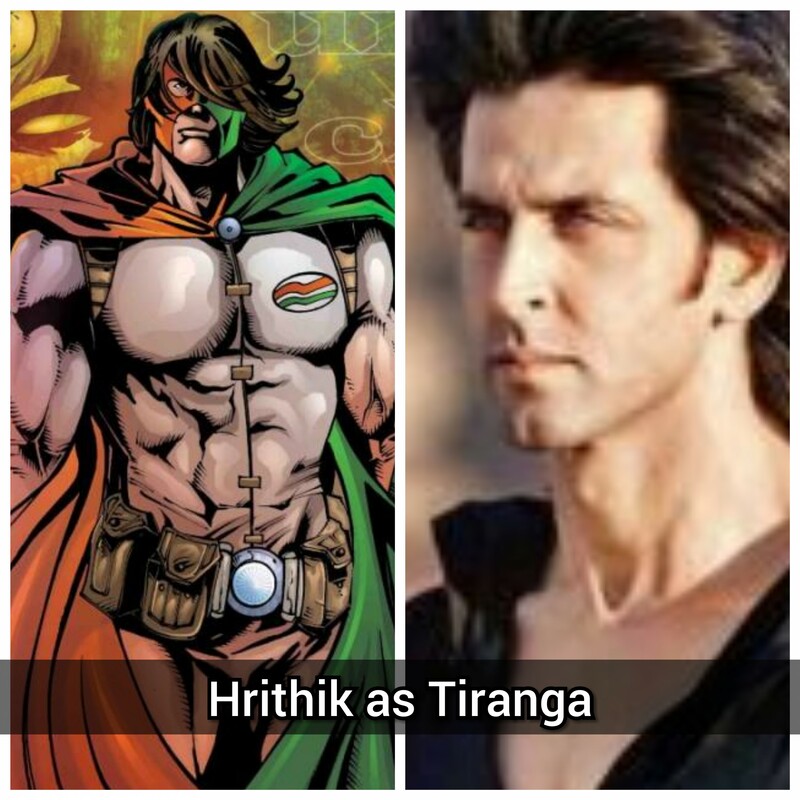 Barring few controversies in recent times, Hrithik is a perfect match for respectable Captain Tiranga. Varun as Parmanu may not be the best bet, but we wanted Varun Dhawan to be part of the Star cast because of his charm onscreen and fan following. Parmanu though is a serious character in the comic world, but Varun’s persona is amazing enough to portray the Raj Comics sci-fi superstar. Perfect match, Ranveer is the most versatile actor bollywood has ever seen. Bhedia as a character is cunning, ferocious and dangerous. Not only this, Bhedia has inherited the fighting skills from ancient gurus and is now a fearsome warrior. He has mastered numerous tricks and combat techniques. 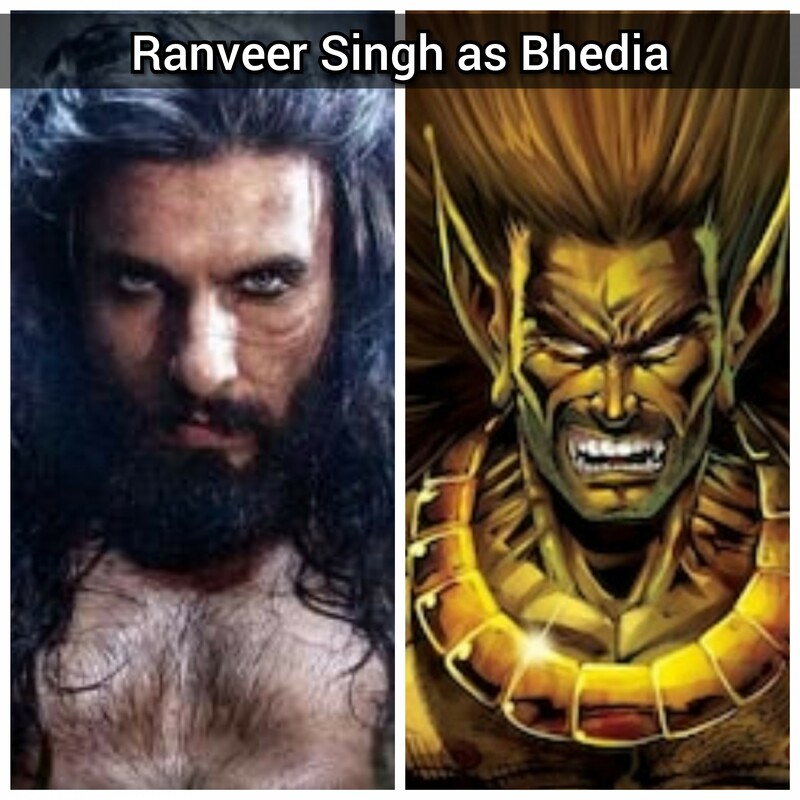 Who else than Ranveer to portray this Raj Comics Wolf God as Ranveer has already portrayed a similar ferocious character brilliantly in one of his recent movie. Let us know your thiughts on the overall list. What else we can add and what can be made better if a superhero saga series is ever made in India.